Thomas Jefferson High School for Science and Technology ranked 5th best high school in U.S. The rankings are made using data from over 28,000 public high schools. The schools on the list were given gold, silver and bronze medals. A Fairfax County high school is among the top five high schools in the country, according to a ranking by U.S. News & World Report. Thomas Jefferson High School for Science and Technology in Alexandria placed fifth in the publication's national rankings. The school was also named the third best STEM high school in the U.S. The rankings are made using data from over 28,000 public high schools. 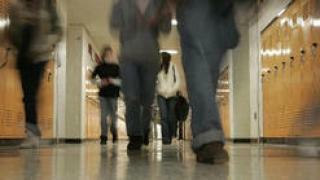 The schools that took the top spots are best at preparing students for college and careers, according to a release. U.S. News & World Report says graduation rates were also a major factor in its methodology. The schools that received national recognition graduate their students at rates that are 15 percent higher, on average, than other schools across the country. “A high school education is imperative for success in both college and a career, and a school’s graduation rate is a key indicator of whether students are being effectively prepared for both paths,” U.S. News Managing Editor of Education Anita Narayan said. The schools on the list were given gold, silver and bronze medals. Gold medals indicate the greatest level of college readiness. 7. Seed Public Charter School of Washington D.C.
A complete list of high school rankings, featuring data on factors including enrollment, graduation rates, results of state assessments and participation in free and reduced-price lunch programs,can be searched by state here.